Getting—and keeping—the attention of a target audience is much easier with a simple, organized way to engage them at key steps in your sales and B2B marketing funnel. Yet many businesses aren’t sure how to mesh sales and marketing into a seamless process. From prospecting to closing a sale, it’s important to lead customers to the next logical step in the buyer’s journey and understand the best marketing tools to plug and play along the way. To get to the heart of how sales and marketing work together as a team in the B2B world, start by clearly defining your sales process. Get into the mind—and emotions—of a customer and map out each step of the journey in order to provide information that builds confidence about a purchase along the way. For example, do they start on your website or call? Do they connect with you through an ad or a prospecting email? Do they want to talk with someone before making a certain kind of purchase? Work your way through and document each purchase process scenario. What parameters define a prospect vs. a qualified lead? How much information do you provide customers who intend to buy vs. those just doing research? These specifics show you if a lead is in a “generation” or “nurture” phase, and clue you in on what’s required to move them forward. What are the steps that your buyers take in their journey to purchase? If someone is in prospect mode and needs information, how do they get it? 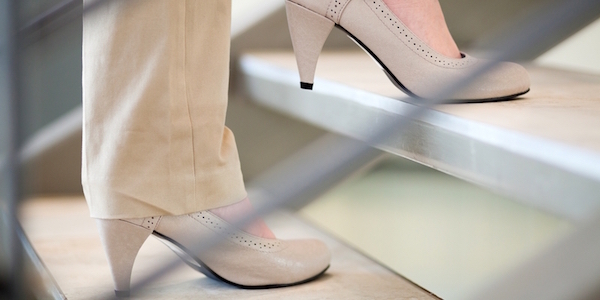 If a customer wants to learn more about a new offering, what’s the next step? When is the help of a sales rep essential? Knowing what you want to achieve, specifically, at each step in the sales process makes it easier to define the actions that help you get there. Balancing your process with customer needs takes a bit of finesse, so start with an ideal interaction and work backward. Each customer uses a different value system when making a purchase decision, so make it easy for them to choose quickly. Also, be sure to clearly define what customers can do solo and what they’ll need help with. Are there simple ways for a customer to add elements to an existing proposal? Can you provide sales opportunities like special add-ons, upgrades, or paired items at each stage in the sales process? You’ve got a customer’s attention; now keep it. Are there FAQs to convert a customer on the fence? Is there a value proposition to help differentiate you from the competition? Providing the sales team with content basics to sway customers can lead to stronger conversion rates. Ask the sales team to find out what customers need most. Customers will always be at different stages of interest, so use marketing tools that make sense for each stage. Drive traffic to the website, use email marketing, and share whitepapers and case studies to tag customers and pull them into various aspects of the sales funnel. Follow up with how things went for your customer. Were they happy and why? What would they change or add? How can you shift a disappointing experience? Use these details to refine future interactions. As with any process, you’ll need to rethink, refine, and shift. You may find that automated marketing outreach is helpful with prospecting or that it’s easier to outsource certain tasks. Combining the power of the sales process with marketing support can go a long way to inform B2B customers on your products or services without pushing a hard sell. Education sparks interest, and a sales process supported by effective, educational marketing materials converts.